Printed Promotional Notepads available in all shapes and sizes, these notepads make the perfect giveaway and are a lasting advert for your company. 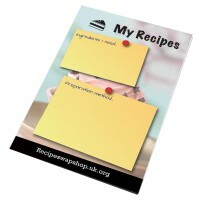 We also offer a range of promotional notepads with printed covers, and moleskin effect. Our range of high quality Desk-Mate notepads are ideal for getting a brand seen on every page! The A6 Note pad is ideal for carrying calendars, weekly planners and other useful information, including your contact details - of course! The pad contains 50 sheets of white 80gsm paper, glued to a standard backboard. 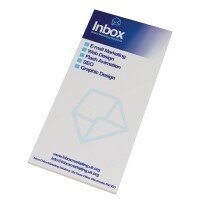 Our range of high quality Desk-Mate notepads are ideal for getting a brand seen on every page! 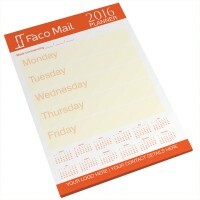 The A5 Note pad is ideal for carrying calendars, weekly planners and other useful information, including your contact details - of course! The pad contains 50 sheets of white 80gsm paper, glued to a standard backboard.